Male Great Blue Skimmer dragonfly. 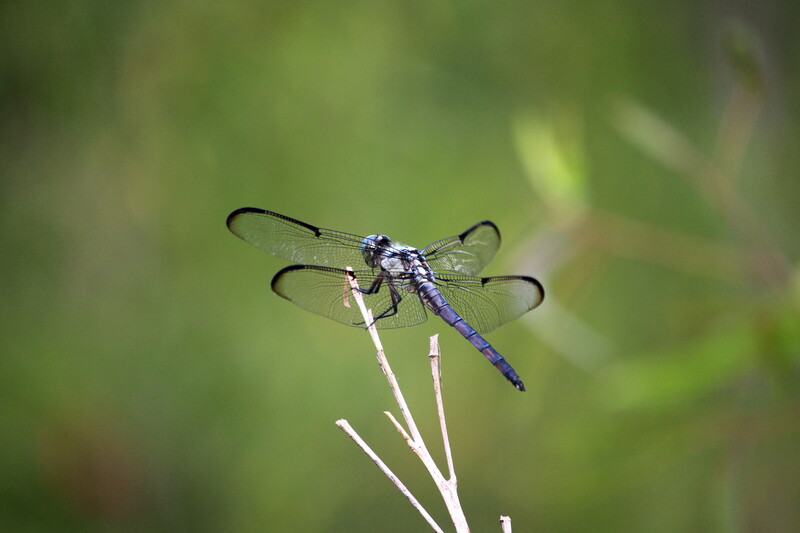 This Saturday, June 25th from 9-11 am, Bob Honig will be teaching Nature Revealed: Dragonflies and Damselflies. If you’ve ever been curious about these swift, colorful insects, this class will give you a great introduction to their anatomy, behavior, and our common local species. 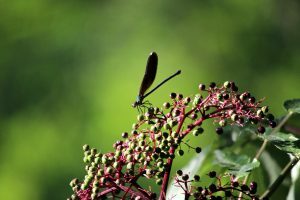 It’s also a great excuse to answer a common question: just what is the difference between dragonflies and damselflies? 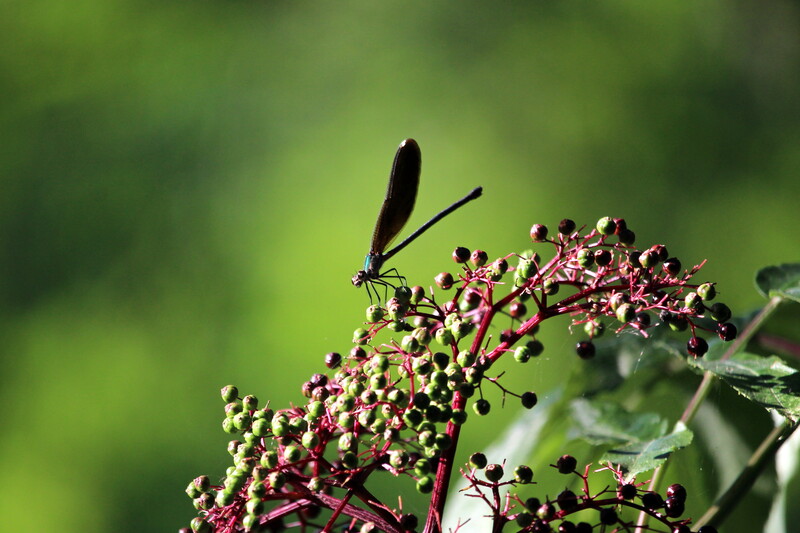 Dragonflies and damselflies are closely related. They’re large and showy insects with two pairs of wings, a long, slender abdomen, and big, searching eyes. They are fierce hunters and are some of the only animals that eat large quantities of adult mosquitoes. Despite their intimidating speed, they are harmless to humans and have no stingers or venom. But how do you tell them apart? The clue is in the names. Dragonflies are big and beefy like mythical dragons, with broad wings that they hold out to the sides while resting. Damselflies are small, delicate, and slender – like a damsel in distress. They hold their wings primly closed over their bodies while resting, like a proper lady! Baby damselflies (called “nymphs”) also have a frilly tuft of gills on their tails, which baby dragonflies don’t have. There are so many fascinating things to learn about dragonflies and damselflies, from their “killer lips” and their secret aquatic childhoods to their dazzling (and sometimes brutal) courtship behaviors. If you’d like to learn more about these amazing creatures, join us on Saturday morning: http://houstonarboretum.org/events/nr-dragonflies/.